Are you an LPN who loves to see the country and meet new people? Aureus Medical offers an inside look at travel healthcare. When facilities need coverage for extended absences, staff transitions, and peak seasons they turn to contract staff to fill the gaps. 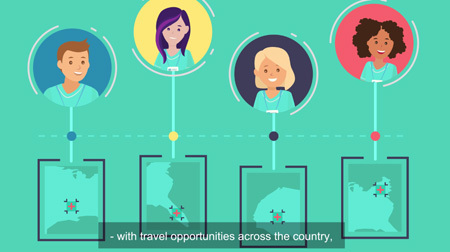 Healthcare staffing agencies pair LPNs with travel opportunities across the country, which typically range from 6 to 26 weeks. Assignments are located in urban, mid-sized, and rural communities. You choose where you want to work. Go from one assignment to the next or take time off in between. Look for an agency, such as Aureus, that specializes in staffing LPNs. A reputable company will offer a competitive benefits package, including housing and travel. Be up front about your preferences and goals. Do you prefer a Skilled Nursing Facility or a hospital setting? What areas of the country interest you? Your recruiter will match you with potential opportunities and will assist you through the process. While on assignment you’ll be part of the healthcare team. On your days off, see the sights, get to know the community, and socialize with new friends. Your recruiter will check in to see how it’s going and will start working on your future assignments. Take an exciting step as an LPN. Contact Aureus Medical to get started!